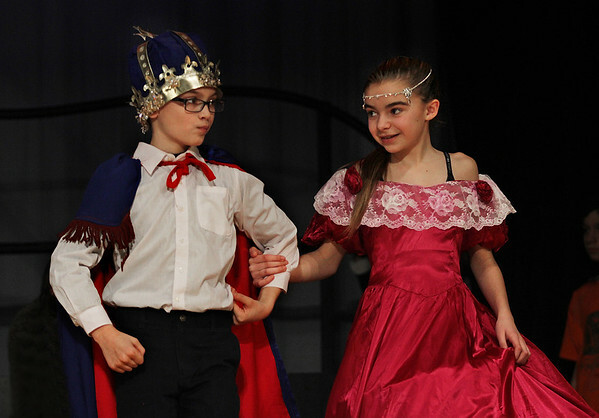 Gavin Harris plays the king and Grace Boucher plays the queen during a rehearsal Tuesday for the musical "Twinderella," this year's play by fifth graders from West Parish Elementary School. A spoof of the classic fairytale, "Twinderella" will be staged in the O'Malley Innovation Middle School Auditorium on Wednesday and Thursday evening at 7 o'clock. A $5 donation is suggested.